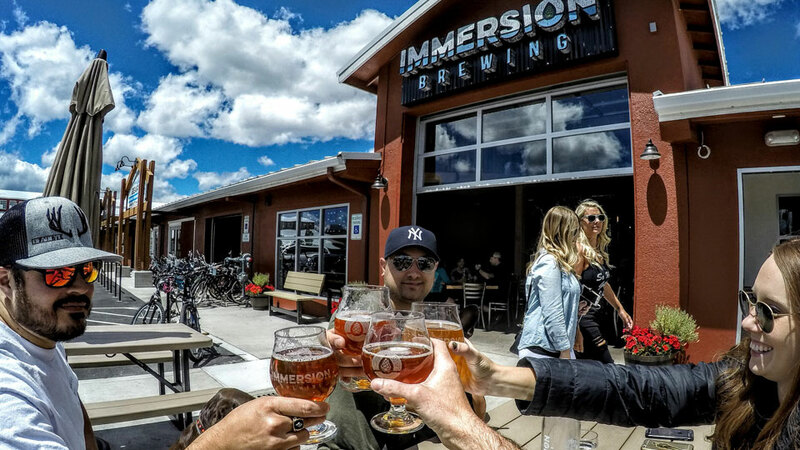 At Immersion Brewing, we believe that people come first. Family owned and operated, it is important to us that no matter your beer knowledge or tastes, our awesome staff provides just the right experience for you. Come try our quality craft beer, grab a bite from our made-from-scratch kitchen, and brew your own beer in our brew-it-yourself kettles. We offer 28 recipes to choose from along with the knowledge of an experienced brewer to guide you through a 2 hour brew experience. Either bottle your beer 3 weeks after your brewing session or participate in our brew-it-forward program to take beer home the same day. BOOK YOUR BREWING SESSION NOW!